2016 has been Chicago's bloodiest year in almost two decades. Photographs by Jon Lowenstein for Newsweek. Photos from Jon Lowenstein's work in Chicago were recently published in French magazine Regards. 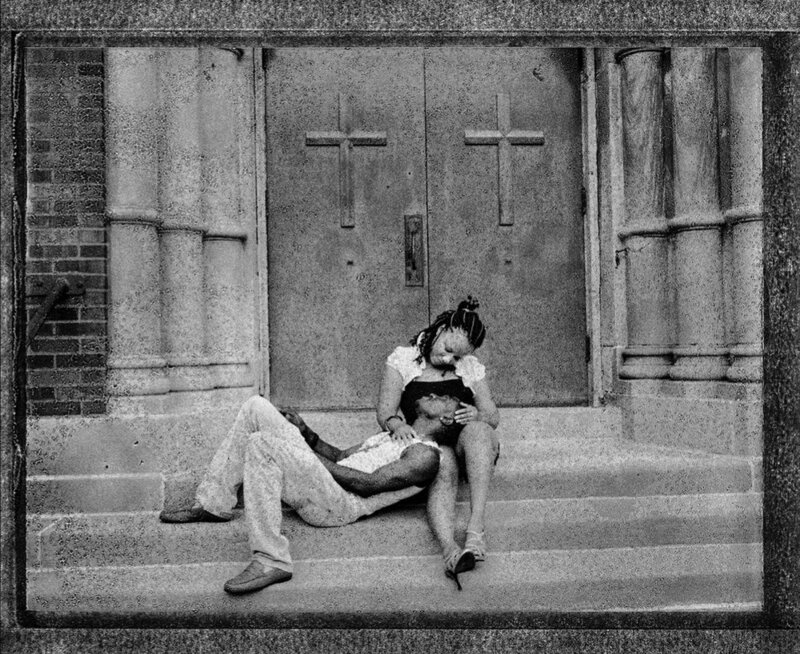 Photos from Jon Lowenstein's story from Ferguson were recently published in Liberation. Photos from Jon Lowenstein's story 'Chicagoland' were recently published in Courrier International. While the Chicago Police Department is under federal investigation following the shooting of Laquan McDonald, and owing to its long history of racism and abusive conduct, new figures show the city's murder rate is up 84% this year. Why are other cities copying this model? In 1979 the United Nations General Assembly established a Week of Solidarity with the Peoples struggling against Racism and Racial Discrimination. In occasion of this celebration, from 21 to 27 March NOOR photographers Nina Berman and Jon Lowenstein will takeover the noorimages instagram feed to showcase their work on racial discrimination in America and the ways in which - from the BlackLivesMatter movement to the protests against Islamophobia - activists and civil rights movements are struggling for rights in an attempt to break the cycle of violence and racism. NOOR Group Photo, May 2015. From left: Asim Rafiqui, Pep Bonet, Kadir van Lohuizen, Benedicte Kurzen, Sebastian Liste, Jon Lowenstein, Francesco Zizola, Andrea Bruce, Nina Berman, Stanley Greene, Alixandra Fazzina. As HOST program guests of the Italian festival Fotografia Europea 2015, NOOR photographers visited the beautiful town of Reggio Emilia to lead workshops, present a screening and discussion evening, and open their group exhibition, "A NOOR journal on the changing planet, 2009-2015." The exhibition, curated by Laura Serani, brings together years of work on climate change and environmental issues around the globe and is on view at the Chiostri di San Pietro until 26 July. In the days leading up to the festival's official opening, NOOR photographers Stanley Greene, Jon Lowenstein, Sebastian Liste, Andrea Bruce, and Asim Rafiqui guided practical and theoretical workshops in documentary photography. To see a video of the work participants shot during the workshop see here. Stanley, Jon, Sebastian and Andrea's workshop participants worked on a shooting assignment covering local food and wine production in the region. One group visited a Parmigiano-Reggiano maturation room in Reggio Emilia. The festival HOST program (a project by aBcM) came to a close with NOOR Night, featuring an evening of screenings and discussions with NOOR photographers and moderated by Lars Boering, Director of the World Press Photo. The topic of the evening was "Change: How to Achieve It." Following the festival, NOOR members stayed in Reggio Emilia where they held their 8th Annual General Meeting. At the Annual General Meeting, NOOR photographers and staff evaluate agency and foundation activities, and plan how to continue NOOR’s mission in coming years.